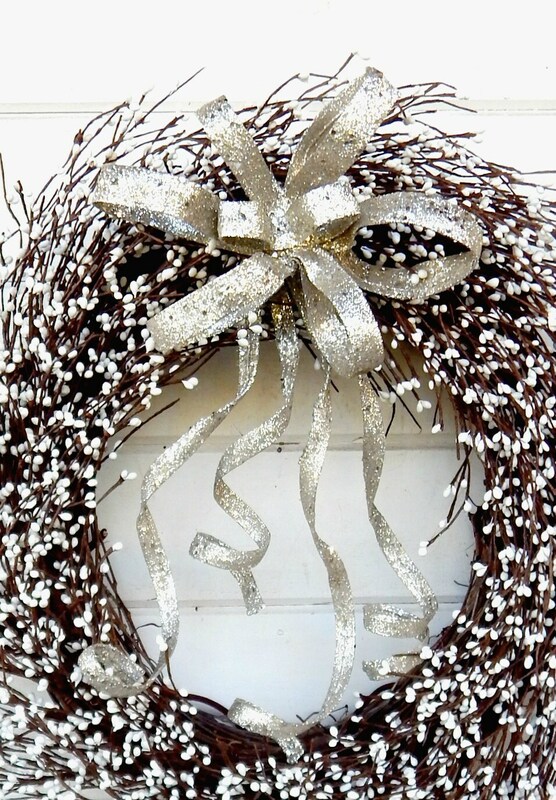 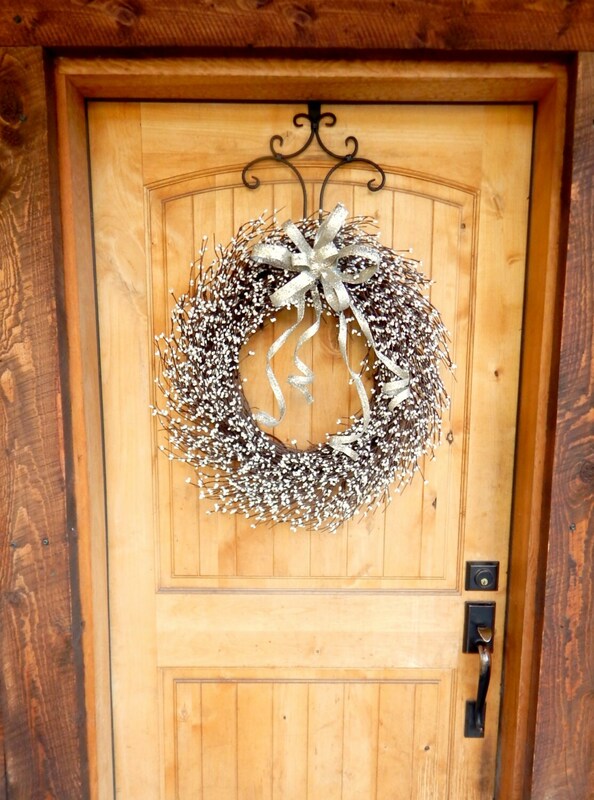 A Bright White Wreath with a GLITTERY Silver Bow!!!. 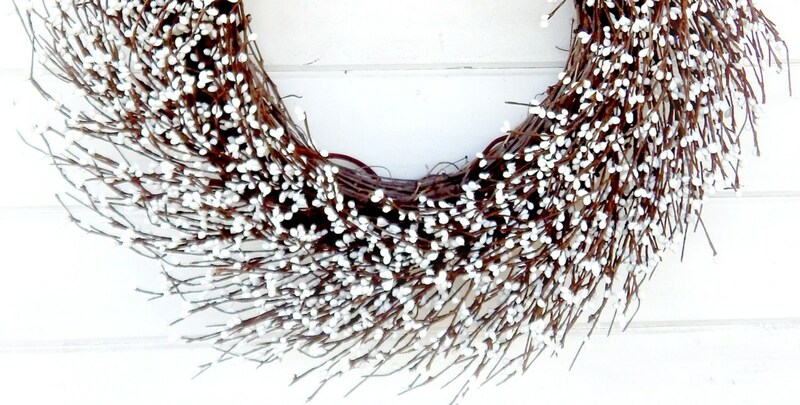 This SCENTED Wreath is perfect for your Fireplace Mantle or Entry Way!!! 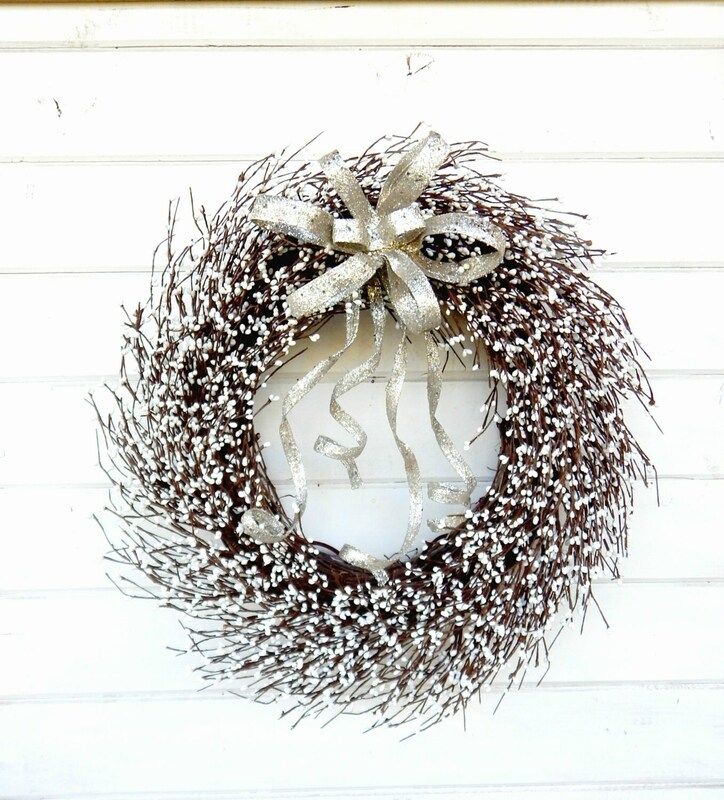 This Large Bright White Wreath is made with a Grapevine base and Bright White Pip Berries. 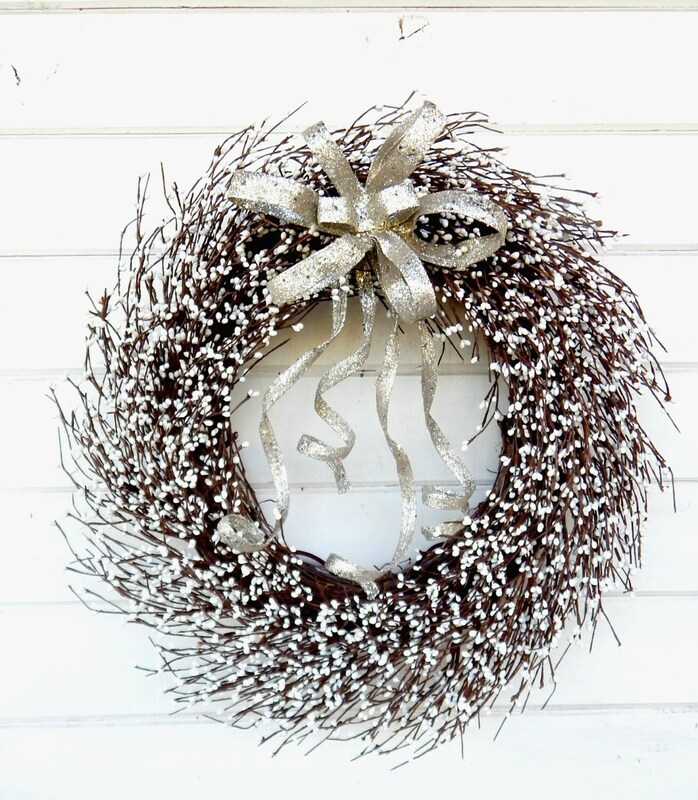 Looks great for the Christmas Holidays or your Wedding Décor!